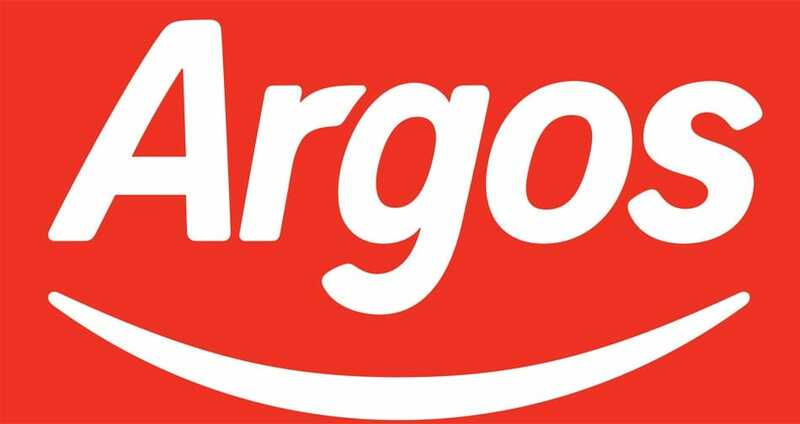 Argos is one of the most well known online shopping destinations in the UK, which first made its success as an offline retailer in the UK and Ireland. If the Argos website is down today or experiences online ordering problems for different reasons, it can be a nightmare for those relying on this store for their shopping needs. The most common problems would be related to Argos online going down completely, or occasionally their website could produce error messages and run slowly. The online website receives over 300 million visitors a year, so any downtime can impact thousands of shoppers and many more during busy Christmas shopping periods. If the Argos website is down right now, or the online ordering isn’t working then leave your status update below. You will also be able to see problems reported by others as well. If Argos is down today, then reports will be found below. Hi, on the 28th i paid off my Argos card debt in full. The money has just disappeared. Doesn’t show on my RBS statements and Argos card statement. It’s like I just threw away 180 pounds. Has anyone else had this? If you have a paper statement (contains sortcode, account number and your card number)- you can make a payment via your bank using faster payment- will credit within 2 hours. Hope this helps. Have not been able to login to my Argos card online account for 2 days now. All i’m told is there is a problem and they don’t know when it will be fixed. Completely unhelpful and the apology is one of the scripted ones that doesn’t mean a damn thing. I wanna make a payment and as soon as my card is clear it will be cancelled and ill never use them again. USELESS! Hi, A lot of the problems are using your VPN! If you temporarily turn this off you might get a surprise! Purchased few items online in the morning and paid with paypal, where payment was confirmed but argos account says no order was made. Waiting for refund to be made through paypal which will take few days!!! won’t let me checkout keeps taken me to an error page been doing this for 3 days now!! Wont let me apply for argos card. It comes up with a picture of black and red paint. Also blank screen when attempting to pay with PayPal. I go back to my trolley and it says error! Cannot add item required to basket. Useless site. They will loose out big time this time of year. Will be ordering elsewhere. Will not allow me to order online. Been trying for nearly 2 weeks now to order my son’s Christmas presents and the site will still not accept my Argos card very frustrating especially when it always seems to happen during the sale or 3 for 2 offers. Cannoy make a payment. Do Argos do this to trap you into interest charges as they drag you over their “free” interest period? couldn’t pay my 12 mths plan – if I don’t i will incure 12 mths interests. It is not the first time! The app says back by the time you can say tea and two sugars !!! I don’t think so..get your act together Argos or I will got to AO.COM for my purchase . No updates … not good ! Argos website is offline and I am very much hoping for the 3 for 2 toys sale, this would be awesome if this was the case. The Argos website is down, when I visited the site it says they will be back soon. App hangs at checkout – PayPal. Zero size object! I take it the site is down! I am receiving the same issue also tried on my mobile as well as my laptop..so frustrating!!!! Can’t remove item from trolley which is disabling me from making other acquisitions. Frustrating. Not to mention their yoyo-ing prices which makes it very hard to know when to buy something! Spend 2 hours trying to make a payment online and it’s not working. Saying it doesn’t recognised my saved credit card and can’t input my debit card details. Frustrated that I wasted my time placing an order I can’t even placed. No point selling things if you can’t even buy, worse website ever. I cannot use the Argos website because I constantly get an i in front of the link which when opened tells me my connection to the site is not secure and open to hackers. I have cleared my history but the f……. thing still keeps appearing and is really annoying me. I want to place an order but am not going to while this keeps happening. I have been trying to register online with Argos to no avail. I fill my details in then click to proceed but it just does not processes. I initiated live chat and they said sorry cant help, so I emailed the help team who told me to read the help page and frequently asked questions. So on the third day of trying I initiated live chat (again) they said phone my order in…no thank you I would like to order online, I manage quiet well purchasing items from anywhere else in the world so why cant I with the biggest online retailer in Britain. Finally I thought I would use their complaints tool on their page. I selected problems with online registration and log on and guess what…I could highlight it but it failed to proceed to the next step in order for the complaint to proceed. Oh and by the way the size of this retailer has no technical support operators employed in the company according to the live chat assistance. Items keep on disappearing from online trolley. When I select “Add to trolley” the items appear to be in the trolley, but when I go to the trolley everything has gone. Ordered and paid for an item this morning, which was listed as “Available for immediate collection.” Having not received the confirmation email or text with the details needed for collection, I called Argos Customer Services to be told that there is an unresolved technical issue that is stopping confirmation emails/texts being sent out. Apparently, this issue has affected everyone who has placed an online order today. So despite Argos having received the payment for orders, stores are unable to release the orders without the relevant details in the confirmation. 10/05/17: Photos not showing on any products. I’ve tried to order online from Argos six times over the last eight months, and never, not once, has it ever worked. I always have to phone to order. What the hell is the point of having an online service if it never works???? Ordered one item three times. Two online and one by phone. Received 3 order confirmations, and 3 items cancelled. It’s a fiasco. There was a problem contacting our gift card and voucher system. Please wait a moment and try again. Just keep getting the following message “Sorry – there was a problem with our system. Please wait a moment and try again. Extremely frustrating Argos! It won’t let me add a delivery address. Tried w/ 2 different browsers. Oh my god! So frustrating trying to order on the website because nothing will load properly. Think I will shop elsewhere! Unable to arrange home delivery for over a week, reported 3 times but nobody seems to care. Shocking service. This website is a joke. I’d love to ask their CEO to go online and make a purchase… What shambles! I have e mailed Argos enquiries wanting to know if taking a digi recorder box still under guarantee back to the store it was purchased from is the correct procedure when a message appears on my TV , ‘that it is unable to record, an error has occurred’. Will I have an immediate replacement? The e mail address was correct, but I have a reply from the ‘postmaster” stating the message could not be served. What am I to do next? Cant delete items from my trolly, tried everything including 3 different browsers. Anyone else enter their card details and a picture of a dinosaur pop up and terminate the purchase? Can’t use Â£5 voucher sent via email. Can’t even add it manually as it says it’s not valid..
Won’t even let me flipping create an account! Trying to buy something to collect in store. Get as far as filling in details, email and create pass word but keeps taking me back to same screen every time WITHOUT TELLING ME WHY go duck yourself Argos I’m getting really hacked off here. What the hell!? Argos won’t let me delete an item from my shopping basket. I am signed in to my account with them so every time I log in, the item returns. I have checked all browser settings and tried with two different laptops. Completely tinpot, I hope you go bust Argos, absolutely laughable. decided to shop with Amazon. Service unavailable zero size object for 2 days now upon checkout. What’s going on??? I have been trying to order a TV through them for two days now. Neither the app nor site will let complete a transaction. It either says it cannot complete the order, can’t find the URL, or can’t check the stock. They must losing out on tens of thousands of pounds worth of business at this time of year. I’ll give them one more day then I go elsewhere. I’ve tried several times today over 8 hours. Website down and Yodel are a waste of time …never again…. To told to select delivery date, which I did and then told that the Argos site ‘is not working’. Rang to check stock in store and went obeyed all instructions only to be told, “Sorry. We are unable to locate the …… store due to technical problems”. What a complete waste of half an hour! When i try to reserve or check for delivery tells me I have to reserve via an expensive text service or costly phone call. Same with delivery. Ridiculous on black Friday weekend. Took 8 texts to order 2 things as you have to order separately and even when you choose a store it gives you 3 options so that’s another 2 texts!! I have items in trolley that are out of stock, but it will not let me remove them. Site keeps timing out and app isnt logging in…. Been trying to buy an item online since 1030 – it is now 13:55 . Takes all your details then sends you in a loop when you apply either a discount code or gift card number – just sends you back to re-enter your address manually, then back to the order page and over and over. Their telephone line ordering says they cannot accept gift card numbers OR apply any discount codes! Don’t believe you argos, you are just exploiting a problem! Wow it’s back – but for how long? All i want is to order the wardrobe i spent 2 weeks deciding on and a coffee table but no. ‘We need a moment’ ive been trying for hours now!! Been trying all morning and cant get past “Sorry we need a moment” page. Happens every year!! Still down trying to get on their site all morning looking else where like I always end up doing.How come other companies manage at this time of the year but not Argos?? Demand for this part of the site is really high. Stay with us. We’ll refresh this page automatically so you can continue shopping as soon as possible. Can’t access anything – sort it please!